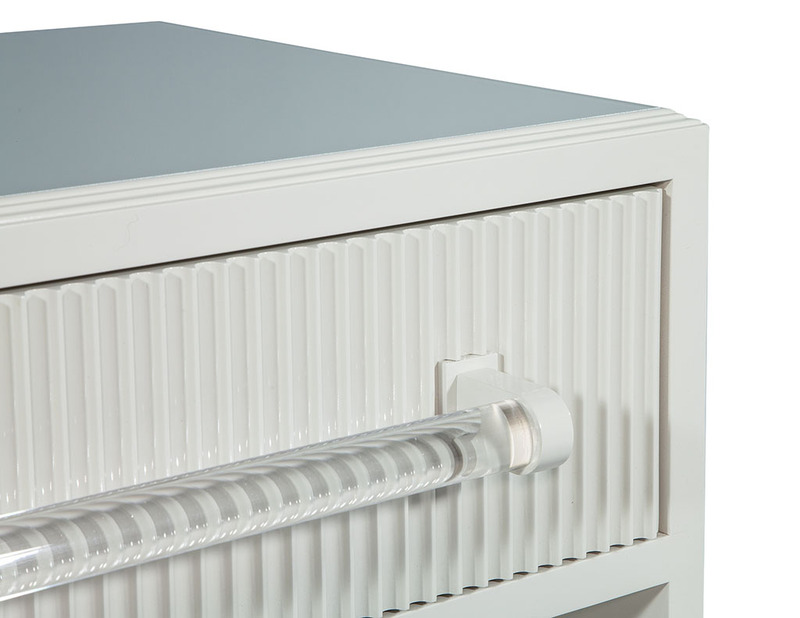 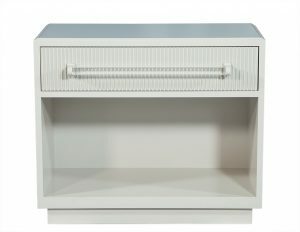 This transitional style chest is wonderfully fresh and intrinsically modern. 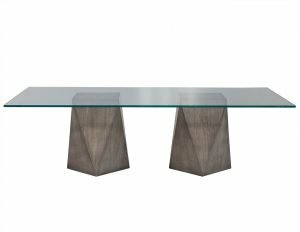 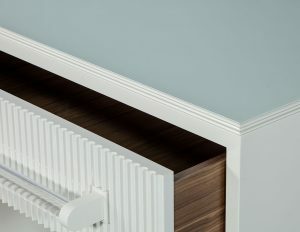 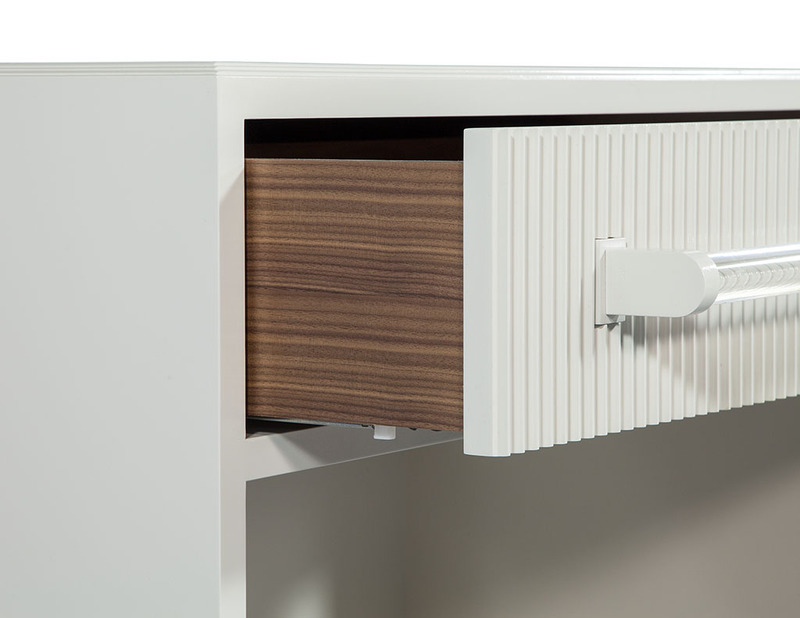 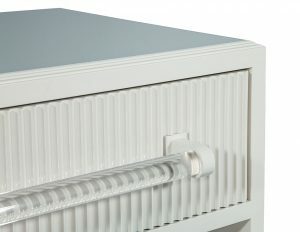 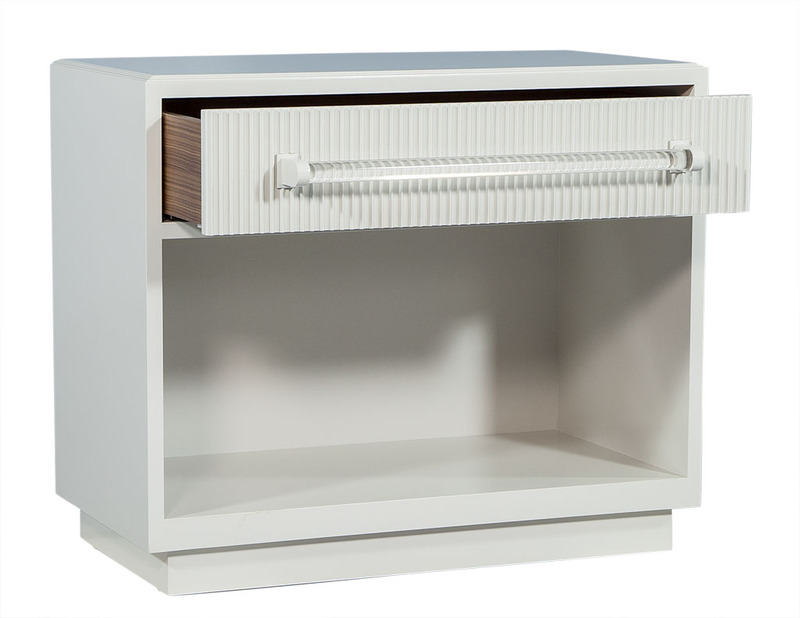 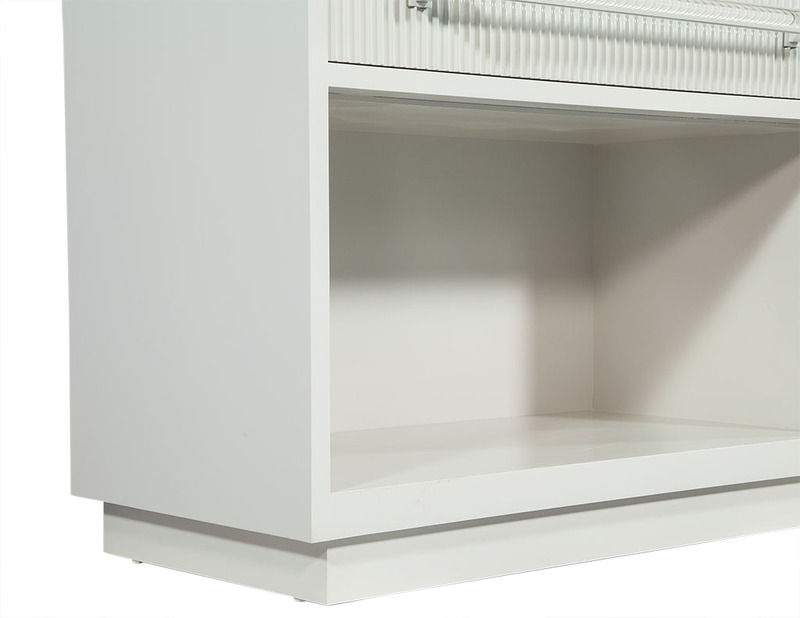 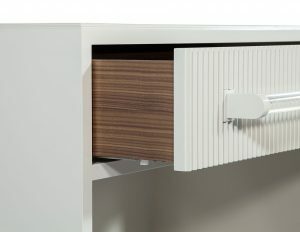 Made to order right here in Canada, crafted of solid wood and finished in eggshell white with long Lucite tubular handles and an inlaid glass top with beveled edges. 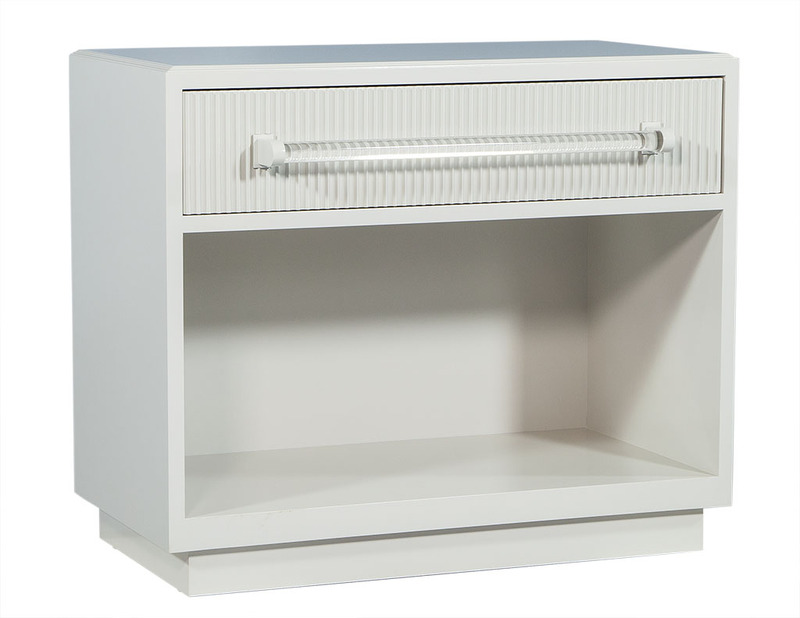 This chest has a lower open compartment and is raised on a plinth base. A Carrocel custom fit for any bedroom! 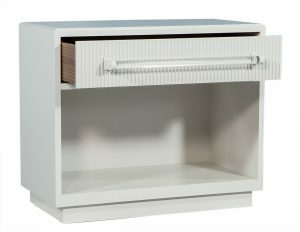 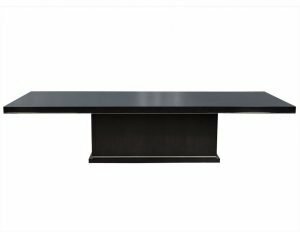 Please inquire for more details on dimensions and finish.